Living in New York City, you’re likely aware that our area has a substantial Jewish population. Between the end of the 1800’s, through the early 1920’s, about two million Jews came through Ellis Island from Eastern Europe. Most were escaping worsening antisemitism in Russia and Poland – pogroms were rampant. The push to leave, in parallel with the pull to come to America, with its open gate policy for new immigrants, facilitated this mass Jewish immigration. Typifying the social conflict of living in a largely Christian culture, away from one’s own town or shtetl, there was Christmas time. Sparkly decorations abound, musical jingles so happy they’re a surefire like, and the crux of it all: The gifts galore. What was a Jew to do? Well, Jews had Hanukah. Hanukah is an 8-day festival commemorating the Jews’ victory over the pagan and secular Greek regime’s anti-Jewish control, around 167 BCE. The ruler at the time, Antiochus, took over the Jewish Temple, demanding a Zeus statue on the Jewish altar, and ordering pigs to be sacrificed instead of the kosher animals offered up according to Jewish law. Pig sacrifices were central to ancient Greek ritual, but unyieldingly anathema to Judaism. The pig sacrifice was an affront to end all affronts, and the straw that broke the already insidious camel of ordinances enacted by Antiochus, such as forbidding circumcision and studying Torah. Guerrilla warfare broke out, led by the Jewish Maccabean family, who won the battle and regained the Temple. The Jewish Priests, eager to rededicate the Temple, searched longingly for enough pure oil to light the Temple’s 7-candle candelabra, or Menora. But they only found enough oil for one day. And yet. The oil lasted a full eight days. For this reason, Jews took on the practice of lighting candles for Hanukah for 8 nights straight, in order to commemorate the two miracles of Hanukah: The David and Goliath type victory, and the miracle of the oil. Hanukah, thereby, is called the Festival of Lights. It became tradition to give little coins on Hanukah to children, either real money or chocolate. With the lights, the little gifts, and the fact that Hanukah occurs around the winter solstice, the equating of Hanukah with Christmas became inescapable. By the by, some Jewish parents came to think that they should even give one present per night of Hanukah to each child. For these families, this meant that the Hanukah menorah now paralleled the Christmas tree. What’s key is that, according to Jewish law, the Hanukah menorah is to be placed where outsiders will see the candles burning – in the doorway, or a window- in order to publicize the miracles. In the US, Jews could feel free to do so publicly, yet still struggled with being different. 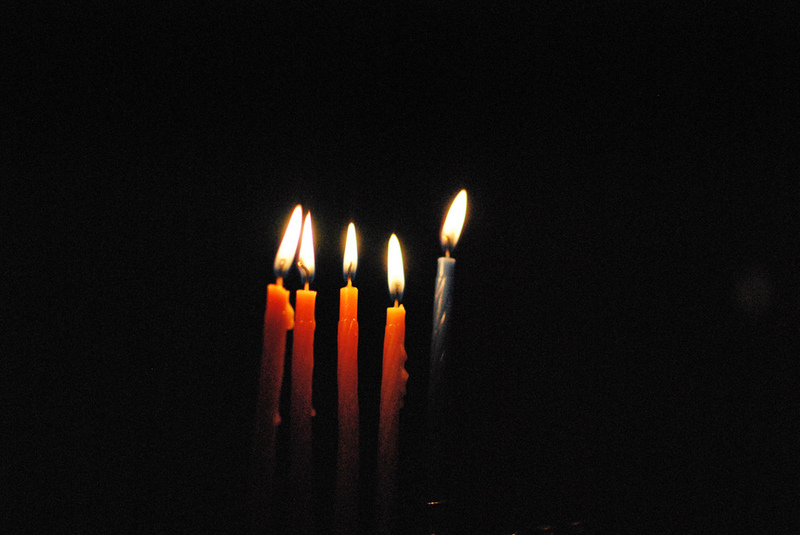 The story of Hanukah is one of maintaining identity and religiosity, especially under duress. Today in the US, the duress is not violent, but rather social: The dichotomy of fitting into a larger society with different religious traditions is a challenge not only for Jews, but for millions of other immigrants as well – from Asia, the Middle East, and Africa – who practice a religion other than Christianity. Here at Rockaway Care Center we cater to different religious practices as a matter of course, and are open to assisting in any way possible to enable all of our residents to practice their religion comfortably. Religious practice is part of feeling at home, and feeling secure, aiding in recovery and the feeling of overall wellbeing. So, whether you observe Hanukah, Christmas, Kwanzaa, or none of the above during this holiday season, we at Rockaway Care Center encourage you to be you.